When Microsoft was working on what became the Fall Creators Update, we typically saw weekly builds rolling out to Insiders on the Fast ring. With the Redstone 4 branch -- rumored to be called the Spring Creators Update -- new builds are coming out at a much slower rate. Two weeks after Build 17083 arrived, Microsoft has rolled out new Build 17093 to Insiders on the Fast ring and Skip Ahead. New in this version are improvements to the Game Bar which gains a makeover, and lets you access captures, microphone and camera toggles using new buttons. A new clock lets you check the time, and you can easily pick a different theme. Each new build includes improvements to Edge, and this time around full screen mode has been improved, and there’s a new Clutter-free printing option which removes ads and other junk from web pages prior to printing. In this build users can now delete Windows Diagnostic Data by going to Settings > Privacy > Diagnostics & feedback, and clicking the new Delete button. HDR video becomes available to more users, and if your system is compatible, go to Settings > Apps > Video playback and you should be able to toggle the 'Stream HDR video' setting to on. 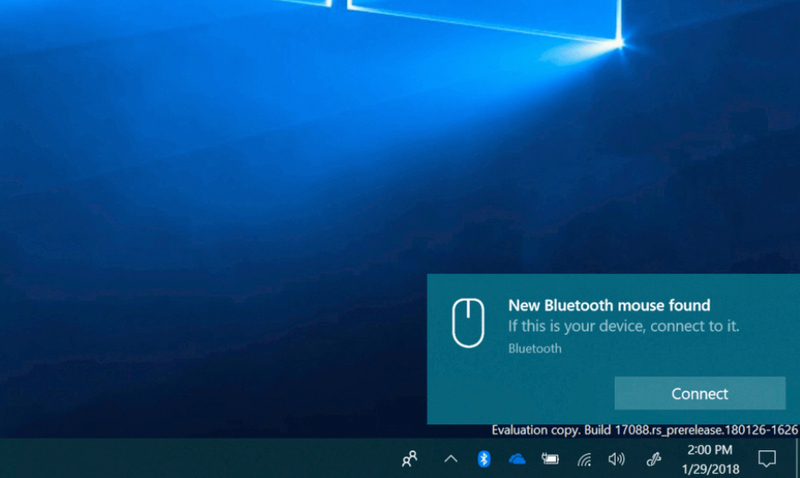 Bluetooth pairing has been made easier with a notification that appears when a new Bluetooth device appears in range. 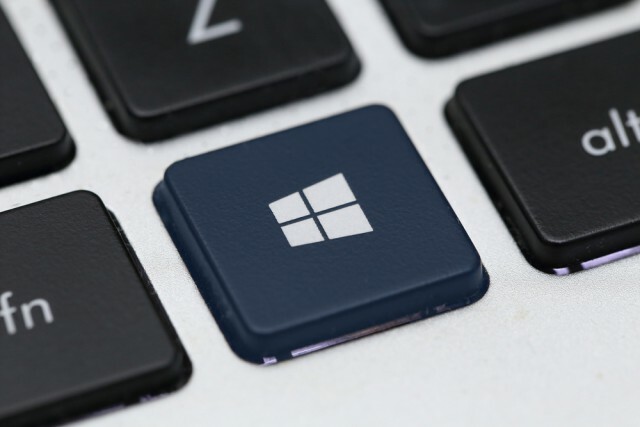 There are new graphics settings for Multi-GPU Systems, improvements for Eye Control, and Windows Defender has been renamed Windows Security under Settings. The Settings page there has been redesigned too. Fixed an issue where the network flyout didn’t have an acrylic background. Fixed the issue causing VPN clients installed via the Microsoft Store to not work after upgrading to Build 17083. Fixed an issue where the Home text label was missing from the Settings navigation pane. Fixed an issue where Windows Security in Settings was missing an icon in the navigation pane. Fixed an issue where drop-downs in the new App volume and device preferences page under Sound Settings were truncated when the Settings window wasn’t wide enough. Fixed an issue where the new App volume and device preferences page under Sound Settings might have duplicate apps listed. Fixed issues with the slider controls for sound under Settings > System > Sound and "App volume and device preferences." Fixed an issue in Windows Update Settings where if you’d selected restart to kick off an upgrade and then canceled the restart, the restart button in Settings would no longer be functional. Fixed an issue where the data limit dialog on the Data Usage Settings page had no margins. Fixed an issue where permissions for inbox apps were cleared out when upgrading to recent builds, resulting in you being unexpectedly re-prompted to enable or disable these permissions when you launched an impacted app. Fixed an issue where the Advanced display settings link was missing from Display Settings. Fixed an issue where going to Focus Assist Settings might crash Settings. Updated the "Use my sign-in info…" text in Sign-in Options settings to be more clear. Fixed an issue where clicking the search entry from the app command menu of certain apps would crash explorer.exe. Fixed an issue where the night light quick action in the Action Center sometimes didn’t work due to a long running calculation of the schedule to automatically turn on/off night light. Updated the Action Center context menu such that the three focus assist states are now collapsed under one expandable entry. Fixed an issue where sharing to Cortana Reminders wasn’t working in recent flights. Updated the OneDrive Files-on-Demand state icon in File Explorer’s navigation pane so they now display closer to the file icon. Fixed an issue where burning an ISO file to CD threw an unexpected error "Selected Disc image file isn’t valid" in recent builds. Updated the People flyout to now use your accent color when "Show accent color" is selected in Color Settings. Fixed the issue where Win32 apps pinned to Start would display as blank live tiles that show only a name starting with "W~". Fixed an issue where the Start layout might get reset if you upgraded straight from the Anniversary Update. Fixed the issue where using Task View to switch to an app might result in touch not working properly in that app. Fixed an issue where using the new right-click options to delete groups of activities from Timeline might not delete the entire group. Fixed an issue where the text label for creating virtual desktops in Task View was truncated in certain languages. Fixed an issue where the app icons in the Open With dialog might appear pixilated on high DPI screens. Fixed an issue where music wouldn’t re-route back to audio peripheral if you skipped to next track before connecting the USB or Bluetooth audio device. Fixed an issue where the Windows.old folder wasn’t completely emptied and removed after cleanup. Fixed an issue where using Ctrl + Alt + Break in Hyper-V didn’t work to make a VM re-enter full screen mode. Fixed an issue where vmconnect couldn’t insert or eject an ISO/DVD drive. Fixed an issue that could result in lower frame rates in games in certain monitor configurations. Fixed an issue resulting in audio from Microsoft Edge sometimes becoming unexpectedly muted in the last few flights. Fixed an issue where when using Microsoft Edge with dark theme the text in the address bar might become black on dark gray. Fixed a number of issues impacting Microsoft Edge reliability in the last few builds. Fixed an issue resulting in opening a new tab in Microsoft Edge in recent builds potentially taking an unexpectedly long time. Fixed an issue resulting in Microsoft Edge file downloads to secondary drives failing in recent flights. Fixed an issue resulting in SVG images on certain websites not rendering in Microsoft Edge. Fixed an issue from recent builds where content copied to the clipboard using Web Notes in Microsoft Edge couldn’t be pasted. Fixed an issue where certain PDF files wouldn’t display their context menu correctly in Microsoft Edge. Fixed an issue resulting in Microsoft Edge potentially crashing on launch when using roaming profiles. Fixed an issue resulting in not being able to scroll components of certain websites when viewed in Microsoft Edge despite a scrollbar being visible. Fixed an issue resulting in not being able to use Flash on certain sites in Microsoft Edge in recent builds. Fixed an issue resulting in Microsoft Edge crashing recently if you clicked on the page when in caret mode. Fixed an issue in Microsoft Edge in recent builds where clicking on link’s in the 'Ask Cortana' sidebar might open the page inside the sidebar instead of the main window. Fixed an issue from the last two builds where certain websites didn’t load in Microsoft Edge, although the name of the website was correct in the tab. Fixed an issue from the last two builds where an unexpected gray rectangle was visible in Microsoft Edge settings next to the word Settings. Fixed an issue from the last build where processes in Task Manager only showed at most 100mb of memory used. Fixed an issue where Narrator wouldn’t say anything if you were to use the arrow keys to navigate through text typed into Command Prompt. Fixed an issue an issue where the touch keyboard might be a pixel-width up from the bottom of the screen if the display scaling wasn’t 100 percent, leading to the keyboard unexpectedly dismissing if you tapped that area. Fixed an issue an issue resulting in the one-handed touch keyboard being unexpectedly large in recent builds. Fixed an issue from recently builds where shapewriting in the touch keyboard would stop showing text candidates if you were using it, dismissed the keyboard, re-invoked the keyboard, and tried to start shapewriting again. Fixed an issue from recent builds impacting Emoji Panel invocation reliability. Observed longer-than-normal delays during install at the 88 percent mark. Some delays are as long as 90 minutes before moving forward. Please be patient as the install will complete successfully. Microsoft is investigating an issue where the Japanese IME sometimes can’t turn on in UWP apps. If you encounter this issue switch to a Win32 application (e.g. Notepad), turn the IME on there, then switch back to the UWP app. Investigating reports that three and four finger gestures on the touchpad have become unresponsive starting with the previous flight.